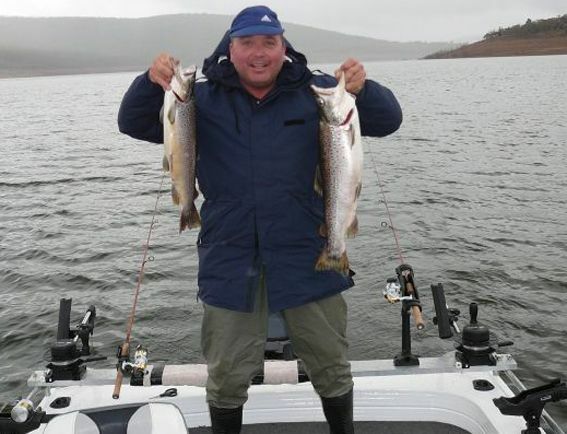 Headlines: Rivers have fished well for spawn run rainbows again this week and Lake Eucumbene is fishing well for fly and bait anglers. Lake Eucumbene continues to rise and is now at 32% plus! The ground being covered has not seen water for three years and there is plenty of food coming out of it which is attracting the fish in to the margins. Large numbers of fish may have already dropped out of the main rivers and back into their respective lakes. There are still plenty to catch. I had a pretty ordinary opening weekend on the bidge, got two rainbows and a brown on beadheads (only one legal), but I saw a great hatch on saturday of olive emergers and later on that afternoon some small blue stoneflies, I think thats what they where? any advice?, I got two takes on a small olive emerger, hooked one but lost him in the flooded reeds. The river is the highest and fastest Iv'e seen it since I was 10 and i'm looking foward to a better season even if it started a bit slow for me. 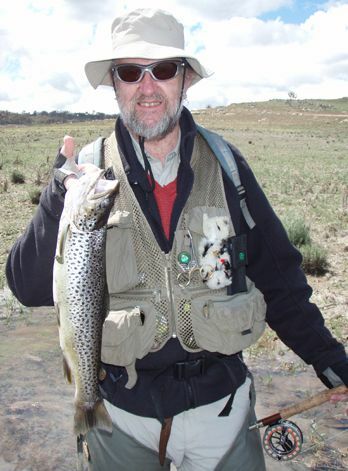 *Mick and Dave had a couple of sessions on the Euc and Thredbo this week and managed some nice rainbows in both rivers. Nymphs were the best flies and getting down was crucial to hooking fish. Mick said he covered fish after fish without a look in and it wasn't until he added some split shot to get down further that the fish ate the fly. 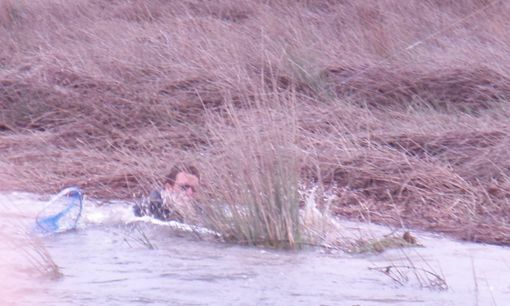 but was not deterred and landed the fish. The water temp was a cool 8 degrees cel. 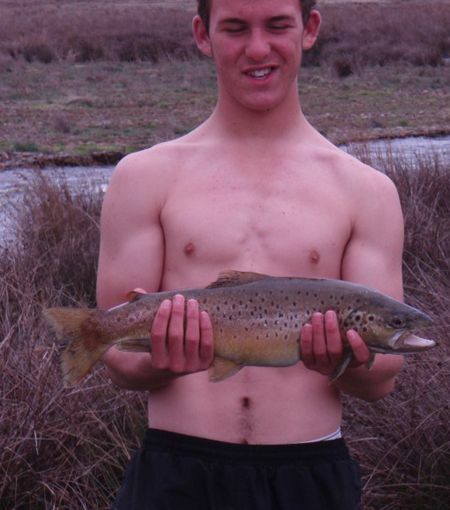 The trout was a 4lb Brown Trout. We took some underwater photos of other Rainbow Trout that we also caught. We caught 12 trout. 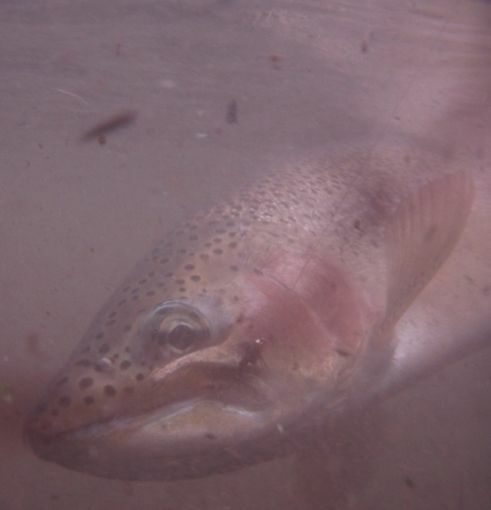 All Rainbow Trout caught were released as they were spawners . Dry fly fishing has been a little quiet due to the cool weather and rain. As soon as we get a few warm days this will improve dramatically. *Below Monir with a nicely conditioned rainbow taken during a strong wind on the lake. If you have a fly in the water you have a better than average chance of catching these good fun fish at the moment. As Monir would say "go team beadhead". A little bit of footage from the weekend also. To view click on the link below. Evenings and first light of a morning have still been the best though you can polaroid the daytime for some nice browns if conditions allow. *Bill from Canberra (pictured below) had a good couple of sessions landing some nice rainbows as well as dropping a couple. The brown pictured was taken right in close on a small midge ball after Bill spotted him cruising. Good fishing. Midge pupa and other small size 14 and 16 wets and nymphs like stick caddis, should do well in the shallow margins early and late also. Lake Tantangara :- Should fish well and with snow and rain in the catchment may rise again over the week. Eucumbene:- Eucumbene trolling reports have been a little quiet though I am sure this due to not getting the reports than a lack of fish. Deep trolling and drifting and casting lures amongst the timber are good methods to use at the moment. Be aware that with the rising water there have been some logs and other debris starting to float and drift around the dam. Keep an eye open for these while travelling around the lake. 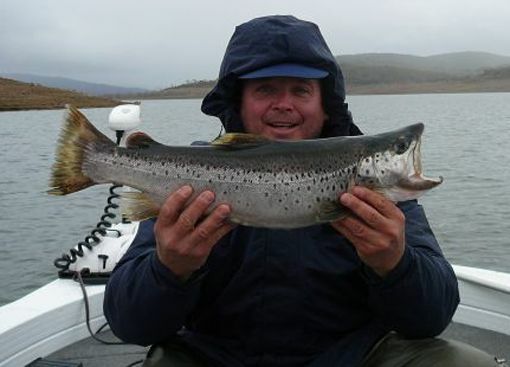 Fished Lake Eucumbene over the October long weekend with Jimmy O'Neil under some very difficult weather conditions but it paid off with several nice trout, including these two very healthy browns. Leadcore line trolling has been working well with tassies, cobras and vibes this week. 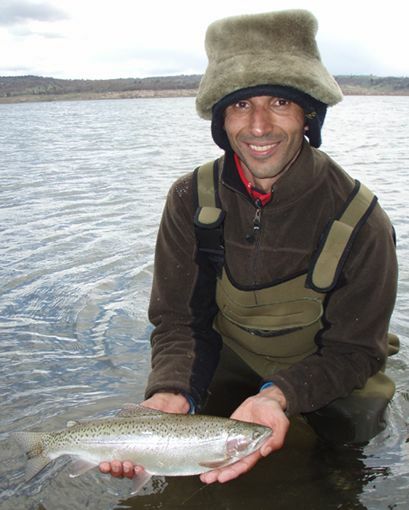 The deeper water off Cobrabald and Yens bays has produced some nice rainbows.